Click to learn what's new in Family Volunteering! Click to learn what's new in our Family Service Fair Program! Click to learn what's new in our Big-Hearted Families Program! Click to see our list of recent donors! Click to see our list of recent volunteers! Click to see our 2015-16 Financial Report! The year 2016 was one of continued growth for Doing Good Together™ (DGT™), with more families and organizations than ever turning to us for resources on instilling children with kindness and civic engagement. And for good reason. The research is clear that putting a focus on compassion and service is critical to our children’s, and our planet’s, future. Here’s how we expanded. DGT was again recognized for its expertise in family giving. Executive Director Jenny Friedman was invited to present at the 2016 National Service Learning Conference; Sarah Aadland, who directs our Big-Hearted Families™ program, was asked to speak at a conference on storytelling hosted by the Minnesota Council on Nonprofits; and the Minneapolis Foundation asked DGT to contribute to its Family Philanthropy Resource Center website and newsletter. We continued to earn exposure through new partnerships. These included: Bright Horizons, a national child-care chain, which asked us to help develop a new social responsibility curriculum; the law firm Gray Plant Mooty, which asked us to organize its 150th-anniversary event at TCF Bank Stadium; and The Food Group, a regional food bank, which asked us to create programming to engage more families in the fight against hunger. DGT expanded its national reach by adding California’s Silicon Valley and Baltimore, Maryland to the locations where we offer a listing of family-friendly local volunteer opportunities. We now offer this free service in six U.S. cities. We added many more resources to our website, newsletter and blog to help families, schools, faith groups and more to practice kindness with children. These initiatives included an original curriculum to teach young children about food insecurity and how they can help; new tools to help families engage in social action; new information for parents on such topics as helping refugees, how not to raise cheaters, tips on embracing failure, the power of family chores, and how to raise an undaunted daughter. We also continued to provide our followers with new book lists that highlight social issues. Last year again demonstrated that our world is filled with complex challenges, and that our times require thoughtfulness, generosity of spirit, and a hero’s grit. It is DGT’s belief that children who move into the world ready to make a difference will not only survive, but thrive. Such children represent the very best chance we have to heal our global family. Your support of our work helps prepare children to do just that. We cannot thank you enough for your belief in our mission. Kindness and service wins! These boys had fun while doing good at DGT's annual Family Service Fair at International Market Square in Minneapolis, Minnesota in November 2016. As we continued to offer monthly listings of family volunteer opportunities from coast to coast, DGT™ enhanced those offerings with unique ready-to-print reflection sheets focused on issues such as homelessness, hunger, and environmental protection. In addition, we began offering sponsorship opportunities to those in the Twin Cities area. For years, Doing Good Together has operated "coast to coast" with volunteer opportunities available in Seattle, the Twin Cities of Minneapolis & St. Paul, Boston, and New York City. In 2015-16, we added Baltimore and Silicon Valley to the list and gained an immediate following of fans and family subscribers. In addition, families can now follow DGT™ on Facebook in New York City, Silicon Valley, and (as of 2017) the Twin Cities. With thousands of loyal subscribers to our Twin Cities Volunteer Opportunities listing, along with an impressive "open rate" from those families, we began a sponsorship opportunity in our first and largest market: the Twin Cities of Minneapolis & St. Paul, Minnesota. Sponsoring companies could choose a quarterly or yearly sponsorship; we also offered discounted monthly rates for small businesses or nonprofit organizations. Want to learn more about our sponsorship program? Contact our Marketing Director today! DGT has always emphasized the critical importance of reflection: the practice of pondering, discussing, and gaining new insights into a subject matter or experience. Our resources offer families the opportunity to delve deeper into big-hearted discussions with their children in age-appropriate ways. New to this list of resources: eight reflection pages with activities, discussion questions, and book recommendations on a variety of topics, such as Helping the Hungry, Caring for Animals, and Helping the Elderly. In addition, DGT offers an overview reflection sheet with tips on how to make any family volunteering experience more meaningful. Fiscal year 2015-16 was a year of growth and responsive messaging to a growing number of big-hearted families. Groundwork laid in previous years allowed us to reach a broader audience with more of the tools and resources they love. With more visitors to our website, more resources, and more members than ever, this program has generated ripples of kindness in communities across the country! We rapidly grew our list of subscribers to the Big-Hearted Blog this year, featuring widely-read posts like A Music Lovers' Guide to Giving Back and Renew Yourself - And Raise Kind Kids. New projects offer opportunities for more families to find an activity that best suits them. 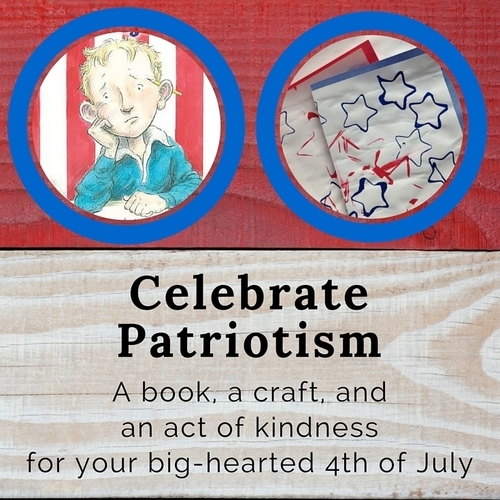 Popular projects from 2015-2016 include opportunities to Create a DIY Kindness Journal; Give an Award; and Celebrate Patriotism with A Craft, A Book, and An Act of Kindness. We've added a dozen new book lists, and extended all of our existing lists, in an effort to connect families with everyday reflection opportunities. In response to member requests, we grew our chapter book collections including frequently-visited lists about hunger and poverty in America, bullying and bystanders, and social justice movements. We've also created new picture book collections around the issues of bullying, emotional awareness, and environmental action. We enhanced our membership circle in preparation to expand its numbers in the 2016-2017 fiscal year. New, exclusive download options are added every few months, including extensive tool kits around the issues of bullying and nature appreciation. In a recent survey, members responded overwhelmingly that they find our exclusive resources to be of enormous value and would highly recommend this program to their friends. In the coming year, we plan to leverage these popular tools to expand the circle. Individual donors make up a sizable portion of our income.